Today, many people are showing increasing interest in correcting wrinkles and folds, shaping facial contours and augmenting the lips. With RESTYLANE, you can offer your patients a complete solution for tissue-tailored facial augmentation - a natural beauty lift using the body's own material. RESTYLANE is a crystal-clear, biodegradable NASHA (Non-Animal Stabilized Hyaluronic Acid) gel, which is injected into the dermis in tiny amounts with a very fine needle. The result is instantaneous, producing a long-lasting, natural enhancement, gentle and safe to the skin. Since it was launched in 1996, RESTYLANE has undergone extensive histological and clinical studies with an increasing body of evidence relating to its ease of use, tolerability and effectiveness. Today, more than 1,500,000 treatments have been successfully carried out worldwide. Smoothing out folds and wrinkles by adding volume can make an enormous difference to a patient's appearance and sometimes make them look several years younger. 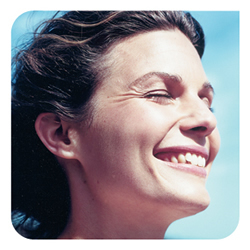 With RESTYLANE, you can offer facial rejuvenation without the use of foreign elements. 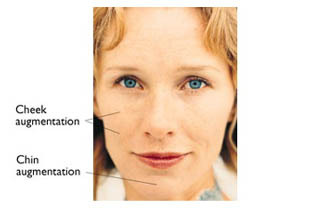 For the treatment of wrinkles or folds, RESTYLANE is injected into the skin in small amounts with a very fine needle. The injected gel gives natural volume under the wrinkle, which is lifted up and smoothed out. The results can be seen immediately. Treating wrinkles with RESTYLANE is fast and safe - and leaves no scars or other traces on the face. For many women, a fuller, more sensual mouth comes high on their wish list. With RESTYLANE, you can offer a more pronounced mouth or a soft pouting look using the body's own material. 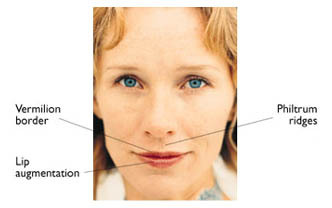 Lip augmentation is usually carried out in two steps - pouting and contouring. To create a more pronounced mouth and fuller lips, RESTYLANE is injected into the upper and/or lower lip. This is often combined with the marking of the vermilion border by injecting the gel along the lip line. Redefining this edge leads to a more youthful and appealing look. The philtrum ridges can be defined by injecting the gel into the lines. To achieve the optimal result, a combination of these steps is often used. Many people are looking for a slightly fuller shape for their chin. 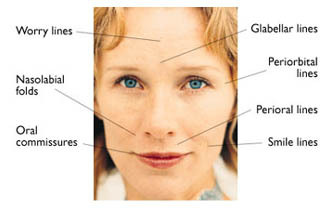 Just a touch of additional volume can make an enormous difference, giving the face a fuller or more defined appearance. Or perhaps your patient wants a rounder, more sensual line along the cheeks to bring out that youthful innocence?